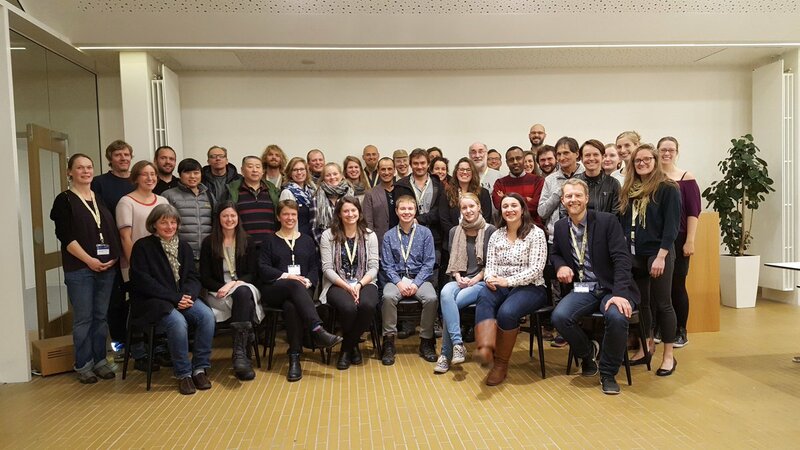 Last week several of us in the EEES community were lucky enough to attend the 1st meeting for the Network for Arthropods of the Tundra (NeAT) at the Aarhus Institute for Advanced Studies in Denmark. NeAT is an academic network of Arctic and Antarctic researchers studying terrestrial and aquatic arthropods. Over 50 scientists from 10 countries were present to share recent research about their favorite study organisms including soil microfauna, invasive midges, and wolf spiders. A highlight of the meeting was keynote speaker Jane Uhd Jepsen’s talk about outbreaking geometrid caterpillars which periodically defoliate entire birch forests in Northern Europe(!). 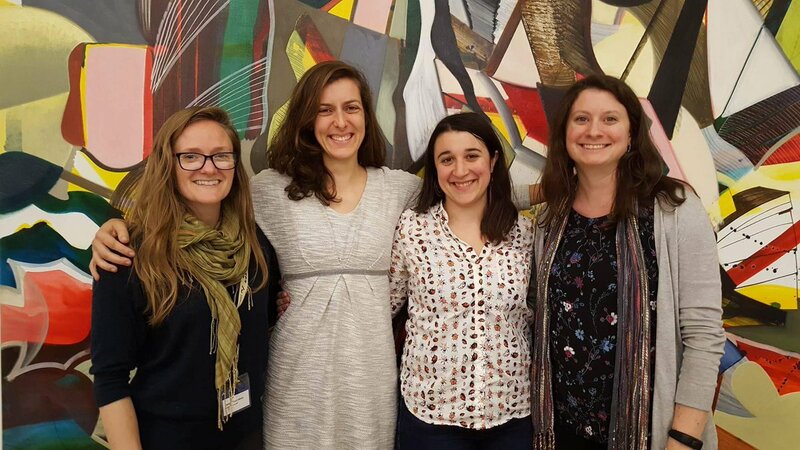 From our Dartmouth group, we heard an exciting preview of Christine Urbanowitz’s new thesis chapter about Arctic pollinator networks, and an overview of Jess Trout-Haney’s dissertation research on cyanotoxins that transfer through aquatic and terrestrial food webs. Additionally, second year graduate student Melissa DeSiervo and Lauren Culler (PhD, Lecturer of Environmental Studies) presented exciting new research about population dynamics of Arctic mosquitoes. Overall the meeting was a blast, and we made dozens of new friends that we look forward to collaborating with on future projects. We even got to sing a very special Danish Happy Birthday song to Christine! 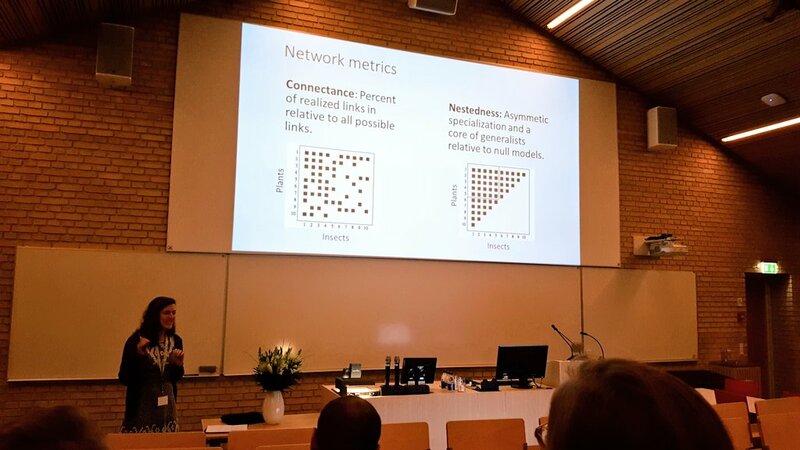 Christine Urbanowitz explains her research on Arctic pollinator networks.